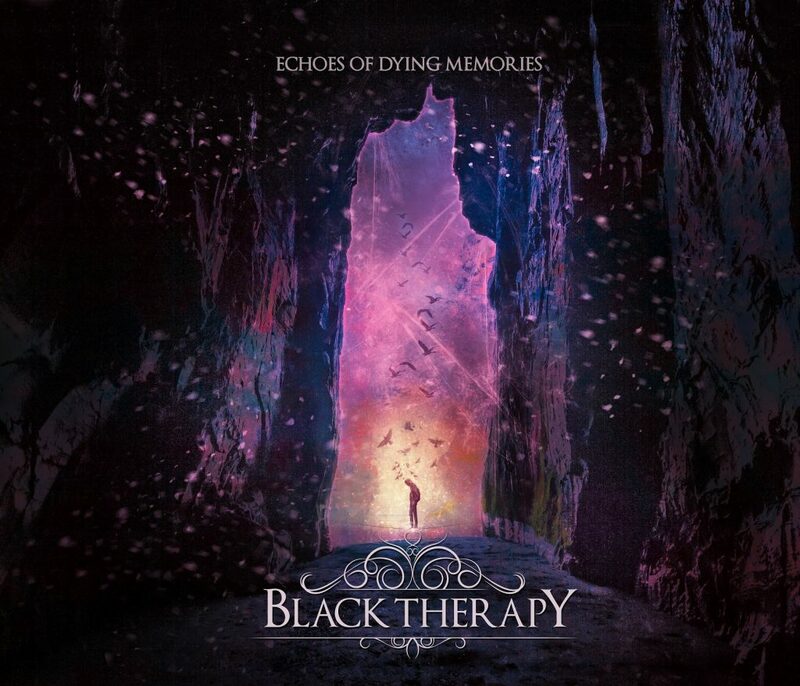 In March, Black Therapy will be releasing their new album, called Echoes of Dying Memories. 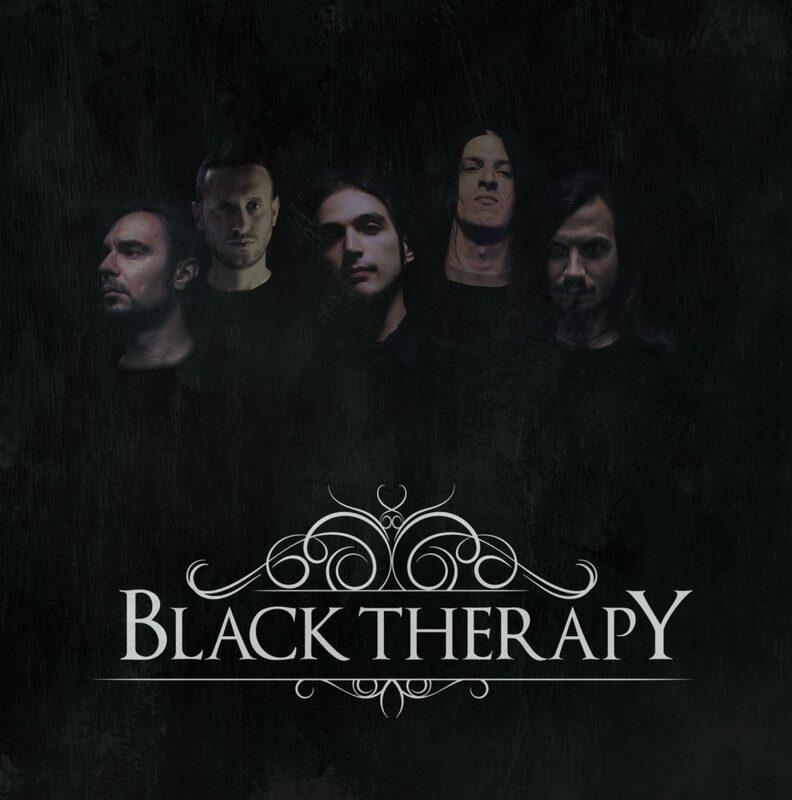 DutchMetalManiac’s Tim van Velthuysen recently spoke with Black Therapy’s vocalist Giuseppe Di Giorgio about their new album and signing to Black Lion Records, among other things. Hey, congratulations with your new, upcoming album, Echoes of Dying Memories. It’s really nice! Hey, thank you very much! We put a lot of effort on this album and it features a great sound production by Stefano Morabito (16th Cellar Studio), a great artwork by Gogo Melone and two special guests, so I hope the readers will enjoy it too! Your music can be described as melodic death metal, what makes Black Therapy stand out in this subgenre? I think it’s our melancholic atmosphere. We are a “sorrow-fueled” melodic death metal band, but we don’t sound too sorrowful to the point of redundance. We have some sort of balance between aggression and a more doomy atmosphere, which makes us stand out. We appeal to those who enjoy the melancholic side of music, but also to those who like faster-paced and harder-hitting tracks. For the release of Echoes of Dying Memories you signed to Black Lion Records. What makes Black Lion Records the best record label for Black Therapy at this moment? They are really passionate about our music and we can dialogue a lot about promotion, marketing and everything’s involved. It’s all very clear and I like that Oliver (head of Black Lion Records) is really up front. The current line-up is quite different compared to the line-up that can be heard on your previous album, In The Embrace of Sorrow, I Smile. Did this bring some changes in the creating process of Echoes of Dying Memories? If so, can you elaborate on that? Yeah, the line-up is quite different, but we did two European tours with this line-up and it worked very well in terms of musicianship. It proves to be a very strong line-up, and if you happen to come to one of our live shows you’ll see for yourself. We knew that hitting the studio with this line-up wasn’t going to be difficult. Plus, Lorenzo is now playing bass guitar, but he is still the main songwriter, so nothing much really changed in the creating process. Andrea and Davide brought some riffs and ideas of course, and they were arranged by Lorenzo. Echoes of Dying Memories also features two guests: Asim Searah of Wintersun who plays a guitar solo on Scars and Sami El Kadi of Adimiron doing some vocals on Ruins. How did these collaborations come to pass? We did a month of touring together with Wintersun in September-October 2017 and they liked our music! Asim told me that he would have liked the idea of playing a solo on our new album, and so when we were composing the songs I sent him the preproduction and he did a great solo for it! Sami is our friend here in Roma, so we just asked him if he wanted to sing a duet with me and he accepted. How was working with them? It was very good! Everything went smoothly, we liked the solo as soon as Asim sent it to us and we loved the way Sami decided to sing as soon as he did his first recording take in the studio. I really like the artwork, can you tell something about the story behind it? The cover was designed by Gogo Melone and she really did a great job! The focus is not on the central person, as we wanted it to be an evocative cover. The birds can be an allegory of the “dying memories” of the title, but I’d like for our listeners to make their own interpretations of the cover. I think that, being so abstract, everyone could project their own experience on this cover, as it can really evoke different feelings and different memories. It is made by Gogo Melone ART, what made her the right person for this job? She is a very talented artist, and she worked with Wolfheart and Insomnium among others. I think she creates artworks full of melancholy and she can relate to our music. That is why she was the right person. On March 9 you’ll have your release party of Echoes of Dying Memories in Rome, Italy. Looking forward to it? Of course we are! We can’t wait to play the new songs live and we are preparing the setlist to include both old and new songs in the best way possible. We rehearsed the new songs and some of them work very well in a live setting. Anything special planned for that show? It’s gonna be a special night, because we are sharing the stage with our friends Lahmia. They are coming back with a new album after 7 years and this will be their first show playing the new songs. And our friends in Ars Onirica are the opening band. If you are in Roma and you like melodic death metal, this is something you really don’t want to miss. Besides that release show your only already announced show is in Naples in February. Can we expect some more shows in support of Echoes of Dying Memories in the near future? Maybe coming to The Netherlands? We toured a lot in Europe, but we actually never came to The Netherlands. We should do something about it, don’t you think so? We don’t have very much planned at the moment, but there is something that we have yet to announce and some other things at work. Follow us on our Facebook page and on Instagram! We also have a mailing list, you can join here. And if you like our music, spread it with your friends! Here you read our 21st part of Promoting Bands, in which we also mentioned Black Therapy.